Take our lightning-fast SSDs for a ride now and breeze through the Flash Era. According to an estimate by Gartner, half of all conventional storage systems in use will be replaced by flash arrays by 2020. 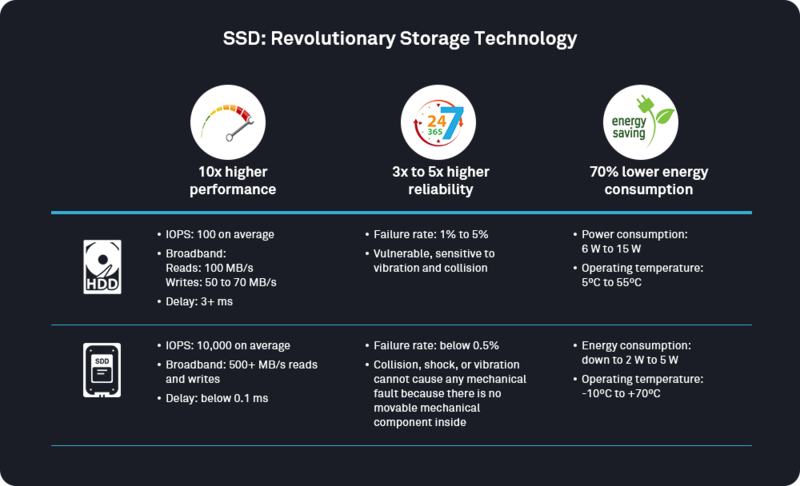 The popularity of all-flash storage is not just a prediction — as a leader in the global enterprise storage market, Huawei enjoyed a surge of 400 percent in sales of flash arrays in 2018 and will continue to promote flash storage in 2019. To bring flash to more businesses, we have launched a Solid-State Drive (SSD) sales offer. We are offering SSDs at the price of 10K SAS Hard Disk Drives (HDDs) of the same capacity to enable more customers to experience the excellent performance of SSD. Remark: For local strategy or any further information, please contact with Huawei local offices.